The Witching Hours Session – 03/04/2018. 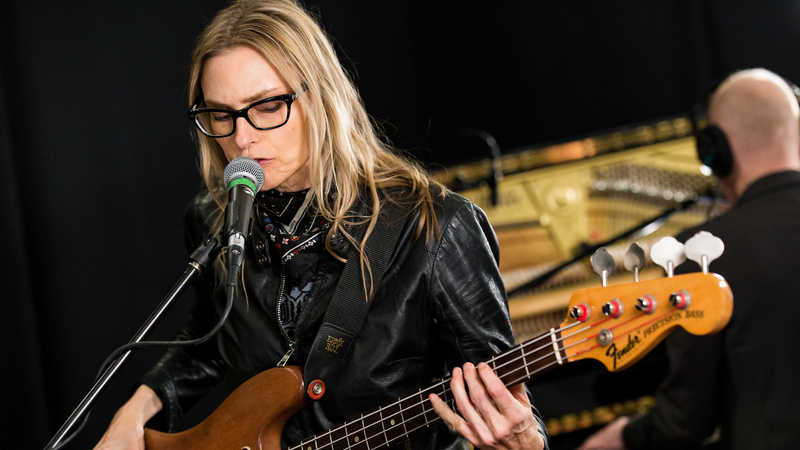 Several years after the breakup of ‘Til Tuesday, the Boston new wave band that scored big with ‘Voices Carry’ in 1985 vocalist Aimee Mann (born 1960) launched her unhurried solo career with the mightily impressive ‘Whatever’. After protracted record company miseries that saw a completed second album change labels prior to its release, ‘I’m With Stupid’ finally appeared in America in early 1996. She has released another 7 excellent and critically well received since then. On her solo debut ‘Whatever’, the former vocalist for Til Tuesday cements her position as a center-stage artist and top-notch songwriter, and Aimee Mann’s blend of wit, smarts, cynicism, and downright humability make for a wonderfully pleasing collection of catchy songs. There has never been a better sound for Mann’s songs than on this album, and she’s never been more consistently compelling as a writer either. To call ‘Bachelor No. 2’ a masterpiece may be overstating the matter somewhat, since an album this unassuming is too intimate to be labeled as such, yet it isn’t an exaggeration to call it one of the finest record Mann has made. ‘Charmer’ has the feel of an immediate, engaging pop record, something that Mann has threatened to deliver for many years but has always kept in reserve.A fine album.